According to statistics from the National Highway Traffic Safety Association, over 76,000 people are injured in pedestrian accidents every year. Many of those accidents are due to negligent or illegal behavior by drivers. Unfortunately, many of pedestrians injured in traffic accidents are unaware of their rights and do not seek settlements for medical costs, lost income and other costs. 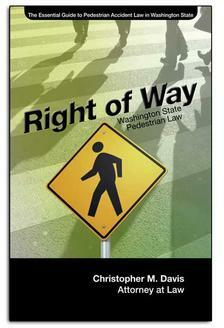 Pedestrians have rights, and if you’ve been injured, you might be entitled to a settlement. 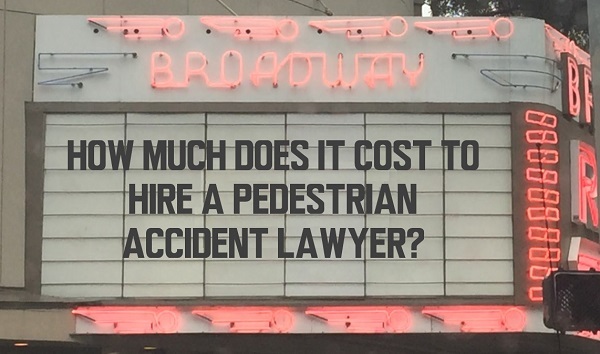 Are Crosswalk Accident Lawyers Expensive? Some people are hesitant to hire a pedestrian accident attorney because they believe it is too costly. With mounting medical bills and your own recovery to worry about, you may think hiring a lawyer is just another cost. What you may not know is that pedestrian accident lawyers work on a contingency fee basis, meaning you don’t pay anything until a settlement is reached. You don't pay your attorney unless they win your case. A contingency fee lawyer requires no payment until they obtain a favorable verdict or settlement. This arrangement is best for pedestrians who were injured or families who lost loved ones in accidents. You don't have to be rich or go into debt to hire a highly skilled legal professional. Seeking a settlement from a negligent driver that hit you is difficult without legal assistance. It can be a challenging and ineffective process if you choose to handle your own case, not to mention you might be forfeiting thousands of dollars in the process. Research has shown that accident victims that hire a lawyer receive on average 3.5 times more in settlements than those who handle the case themselves. If you or someone you know has been injured as a pedestrian in Washington State, contact crosswalk accident attorney Chris Davis and the experienced legal staff at Davis Law Group, P.S., today. Call (206) 727-4000. You can also use the chat feature below or fill out the contact form on this page. Your personal injury case evaluation is free and confidential.